Wild South Intern Makes a BIG Impact with a SMALL footprint! Cherie Southwick is an absolutely incredible advocate, student, leader and past Wild South intern that is changing the world! 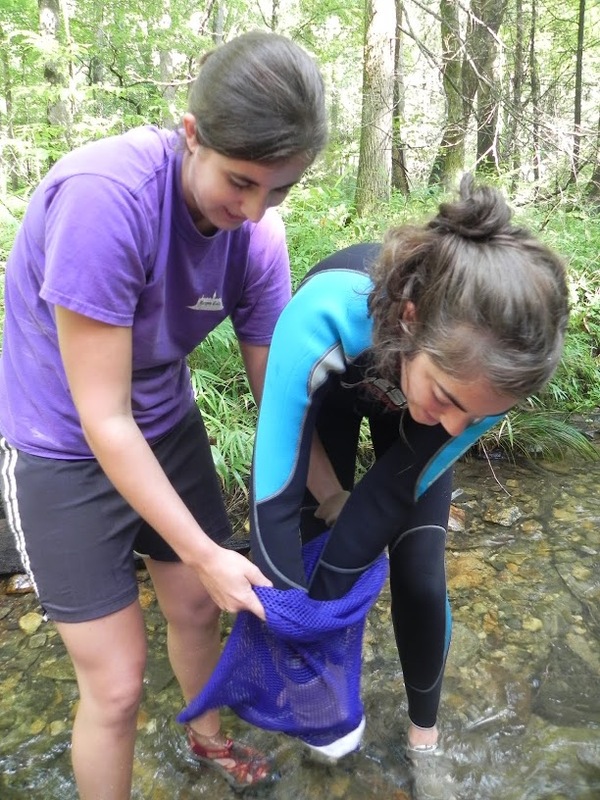 While a student at Warren Wilson College, Cherie interned with Wild South in 2013 and greatly contributed in the Hellbender nesting box project, Wild South Wednesdays (Wild Things! articles), and other projects. She was part of that year’s intern group that stood out for doing really solid work dedicated to protecting the wilds. We are constantly grateful for our interns and their incredible work, and we are proud of these “Next Generation of Conservation Leaders”! Read about her latest project below and I hope you find the same kind of inspiration that we all do at Wild South. Cherie has a 12V LED porch light on the covered front porch. When you go inside you’ll see she has a kitchen, bathroom, living area, closet, and upstairs sleeping loft. 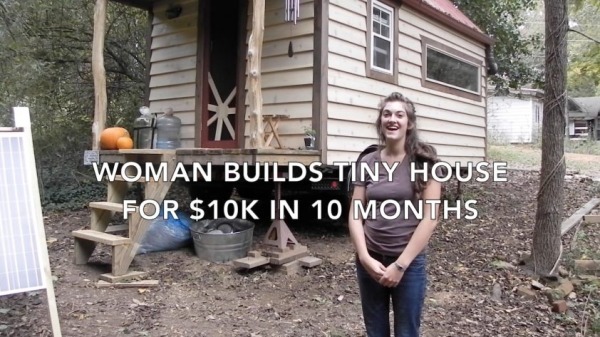 She built her tiny house on a 8×16 trailer. It has a custom built 2′ wide screen door she created with a decorative sun on it (see below). Cherie also created her own door mat from rope which you can see in the video below. And she even harvests her own spring water from a nearby spring whose water originates underground.